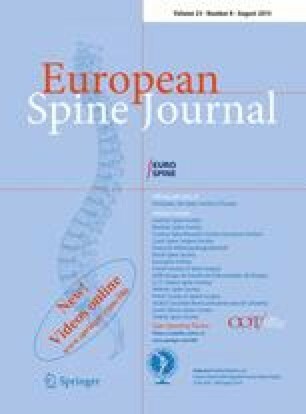 Increasing documentation on the size and appearance of muscles in the lumbar spine of low back pain (LBP) patients is available in the literature. However, a comparative study between unoperated chronic low back pain (CLBP) patients and matched (age, gender, physical activity, height and weight) healthy controls with regard to muscle cross-sectional area (CSA) and the amount of fat deposits at different levels has never been undertaken. Moreover, since a recent focus in the physiotherapy management of patients with LBP has been the specific training of the stabilizing muscles, there is a need for quantifying and qualifying the multifidus. A comparative study between unoperated CLBP patients and matched control subjects was conducted. Twenty-three healthy volunteers and 32 patients were studied. The muscle and fat CSAs were derived from standard computed tomography (CT) images at three different levels, using computerized image analysis techniques. The muscles studied were: the total paraspinal muscle mass, the isolated multifidus and the psoas. The results showed that only the CSA of the multifidus and only at the lowest level (lower end-plate of L4) was found to be statistically smaller in LBP patients. As regards amount of fat, in none of the three studied muscles was a significant difference found between the two groups. An aetiological relationship between atrophy of the multifidus and the occurrence of LBP can not be ruled out as a possible explanation. Alternatively, atrophy may be the consequence of LBP: after the onset of pain and possible long-loop inhibition of the multifidus a combination of reflex inhibition and substitution patterns of the trunk muscles may work together and could cause a selective atrophy of the multifidus. Since this muscle is considered important for lumbar segmental stability, the phenomenon of atrophy may be a reason for the high recurrence rate of LBP.